Two Handed Dress Short Sword | BUDK.com - Knives & Swords At The Lowest Prices! This two-handed short sword is heavy, tough, and built like ancient fighting swords. The blade is crafted of solid, thick stainless steel with a mirror polished finish. 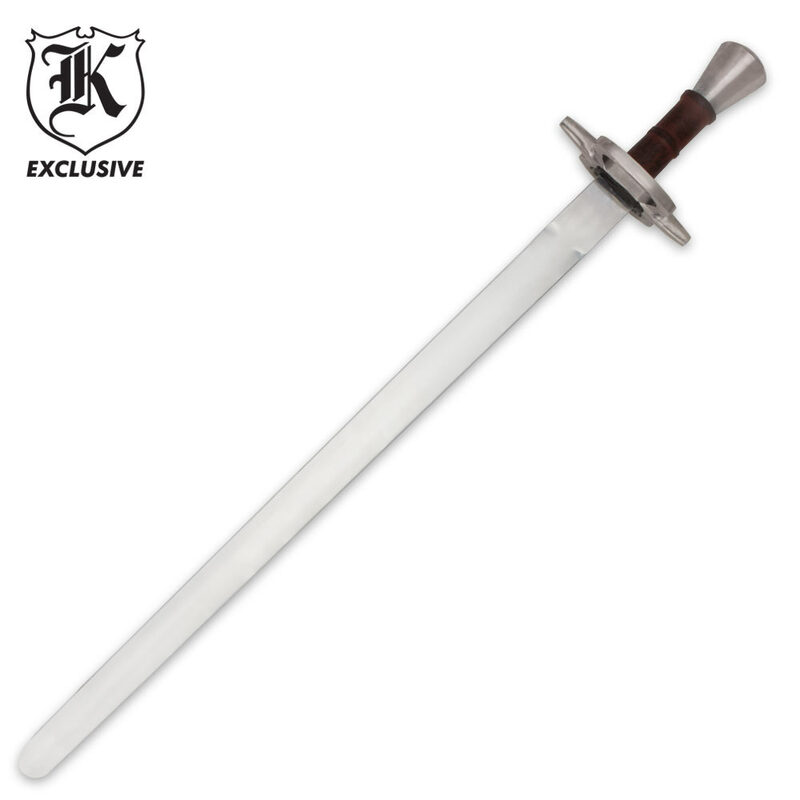 A heavy guard with side rings was designed to protect the hands from opposing weapons, and the equally tough and heavy pommel will do just what it implies—pommel any adversary who dares to challenge you. Finally, the brown leather-wrapped handle provides a secure grip and rustic, authentic accent to this historic replica. Includes a leather scabbard with a belt loop. Measures 32 ½” overall.